I write to recommend The Living Theatre’s Not in My Name Theater Workshop. Jerry Goralnick and Lois Kagan Mingus of The Living Theatre spent a week this February on our campus, sharing their unique approach to theatre. 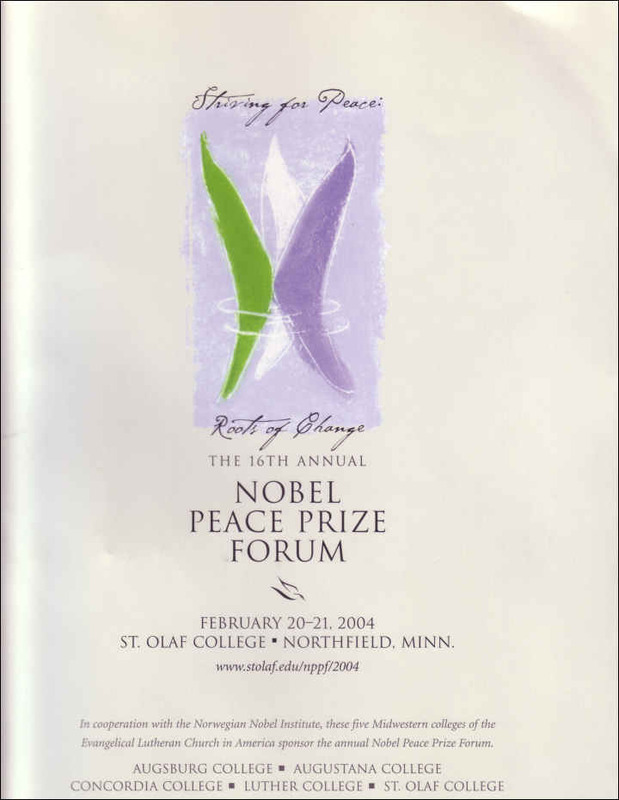 Their residency was our theatre department’s offering for St. Olaf‘s annual campus-wide Peace Prize Forum, for which Jimmy Carter was the keynote speaker. 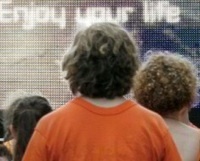 We are completely pleased with both the process and the product that The Living Theater bought to us. Our department was honored to be able to bring such personally invested, generous artists to our community with a message so vital. Jerry and Lois were with us here in Northfield, MN for one week. Each day they worked with student volunteers on the recreation of The Living Theatre’s anti-death penalty play Not in My Name. The piece was performed to a packed house on their last day with us. The response to the play was so favorable that the cast (comprised of Jerry, Lois and our students) immediately remounted the play in our student center in a spontaneous, stage-less performance. We hoped to bring the students an experience that our regular theatre faculty was not equipped to provide, and this is exactly what happened with The Living Theatre. Jerry and Lois brought not only a strong political and social voice to the campus (as one faculty member observed, you rarely encounter people who so completely “walk the walk” of their convictions), but they also brought a melding of staged and improvised theatrical styles to our student artists and audences that was unique. Besides rehearsing Not in My Name for several hours each day, Jerry and Lois also visited numerous class sessions in our Theatre, Dance and Interdisciplinary Fine Arts departments. Although they take theatre and its potential completely seriously, on the human level Jerry and Lois are extremely warm and approachable. I found them to be completely respectful and open to our students, free with their time and genuinely enthusiastic about their interactions with faculty and students. More than one faculty member has commented to me about the rejuvenating effect of having Lois and Jerry campus. Beyond bringing their considerable knowledge about the history and theory of political theatre to your theatre, you’ll also find that they are flexible and make great use of their time. The process and product surrounding Not in My Name was run in a perfectly smooth and professional fashion. We hope to have The Living Theatre back with us soon as we are able, and encourage other theatres to access these fine artists and their important messages.